"To Your Good Health Radio Show"
To Your Good Health Radio show was established to educate consumers all over the nation on nutrition and good health. 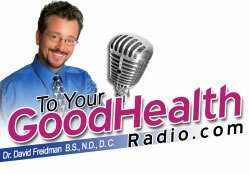 Dr. David Friedman, host of To Your Good Health Radio, not only wants to educate his listeners, but also entertain them! He has created a unique "tell it like it is" approach combining education, common sense and fun. He has interviewed world renowned doctors, authors, actors, super-models and champion athletes in his quest to bring answers on attaining optimal health to his listeners. As health expert for Life Time Television's morning show, he has shared cutting edge stories with millions every week. The five minute time restraint for each story resulted in a lot of great information being edited out. As a result, To Your Good Health Radio was launched! To Your Good Health Radio is a live, UNEDITED, "no holds barred" breath of fresh air. It allows for a full hour of interaction, live questions and comments. Some of the information you will learn will shock you and bring needed awareness to why so many Americans are overweight, tired, sick and depressed. Some of his past interviews include: Mariel Hemingway, Dr. Roizen, Stephen Baldwin, Kim Barnouin, Dr. Ava Cadell and many, many more. 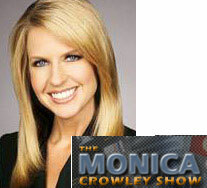 Check out the archives for more shows Dr. Friedman has done in the past. TO READ DR. FRIEDMAN'S BIO CLICK HERE. Don't forget...you have the chance to get your health questions answered live during the "Ask the Doctor" segment!